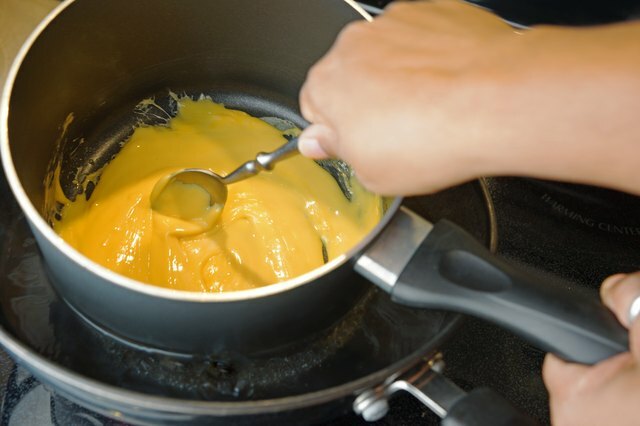 Velveeta is a soft, creamy processed cheese product that melts more easily and smoothly than other cheeses. 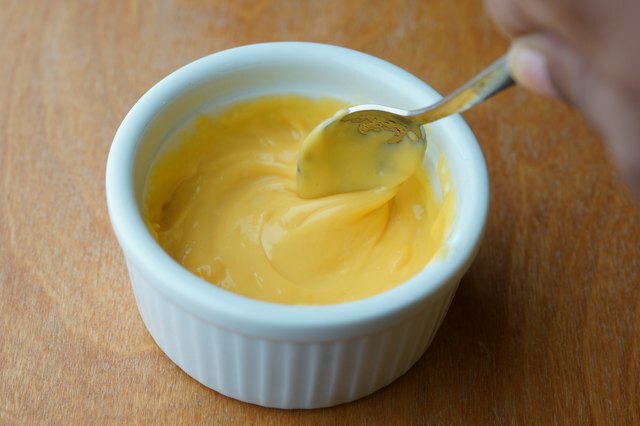 It's often used in making dips, sauces, casseroles and other dishes that call for melted cheese. While Kraft produces a large selection of Velveeta products, the most notable is the original Velveeta cheese loaf. Fill the bottom half of the double broiler or a small saucepan with water and place it on the stove. 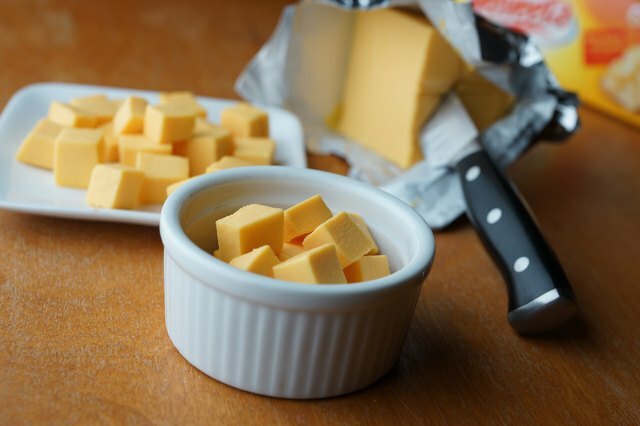 Cut the required amount of Velveeta into half-inch cubes. 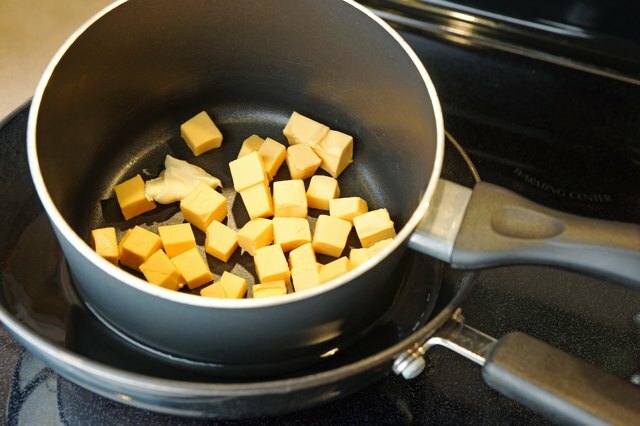 Add the cubes and butter to the top half of the double boiler or the second saucepan and place it on top of the first. Turn on the stove, heat the water and allow it to come to a boil. 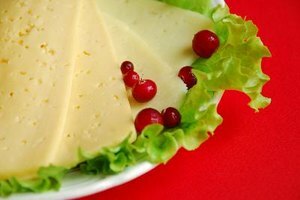 Stir the cheese and butter until it is completely melted and smooth. 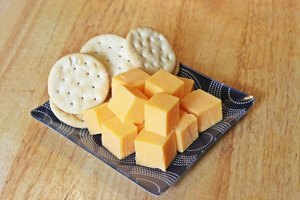 Cut the Velveeta cheese into half-inch cubes. 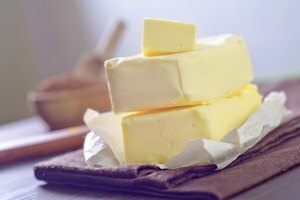 Place the cubes and butter in a microwaveable bowl. 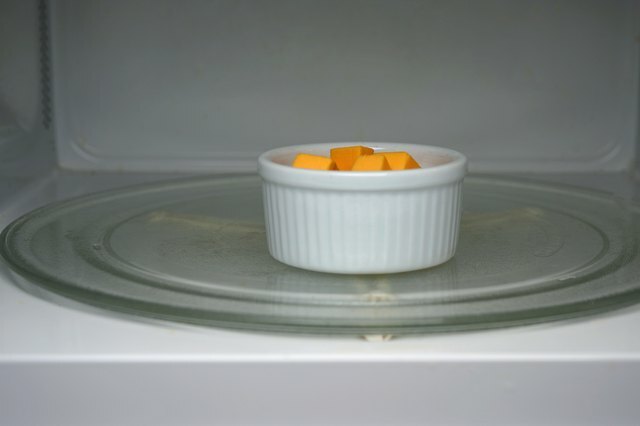 Place the bowl of Velveeta in the microwave and set it on high for three minutes. Remove the bowl, stir the cheese and butter for a smooth, uniform consistency, then return it to the microwave for two more minutes. Always use oven mitts when removing hot containers from a microwave or stovetop. 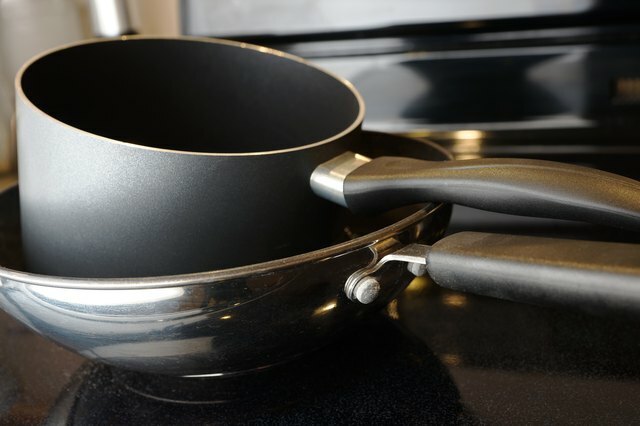 When separating a double boiler, lean away from the pots to avoid any steam.